Welcome back to another episode of Benched with Bubba. On BwB EP 155 Bubba will be joined by Ryan Bloomfield of Baseball HQ. They will go over Ryan's wild drafting season as a first timer in LABR, TOUT Wars and the NFBC Main Event. They'll go over his teams, his strategies, some key players he likes and dislikes and much much more. 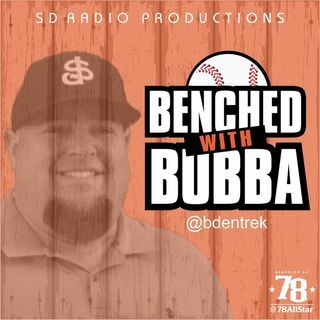 As always, thanks for listening to another edition of Benched with Bubba. We'd appreciate it if you could give a rating and review on iTunes.